Mannerheimintie 13b • The exhibition has ended. The Music! - exhibition has ended. The museum will reopen with a new exhibition in October. The Music! 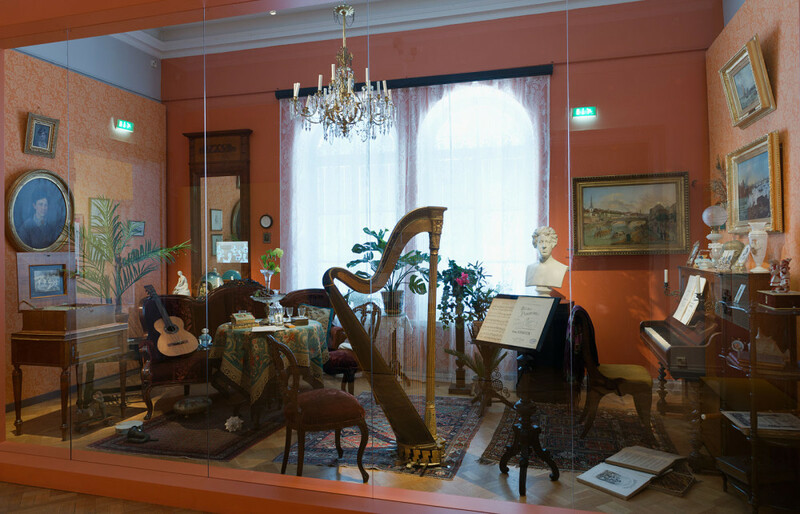 exhibition provides glimpses of the diversity of music in Helsinki before and now. The entertaining trip from music’s yesterday to the present day brings up lots of experiences related to music, stirring up memories and emotions in many visitors – such as songs from school, instrument lessons, Christmas hymns, park concerts, walkmans or band T-shirts. The colourful and visually enchanting, surprising exhibition allows you to enjoy music ranging from the sounds echoing from the arched ceilings of a chapel and the silvery sounds of salon music to the booming beats of a basement band. You can test your taste in music, feel the nerves of taking a common school singing test and learn a minuet. 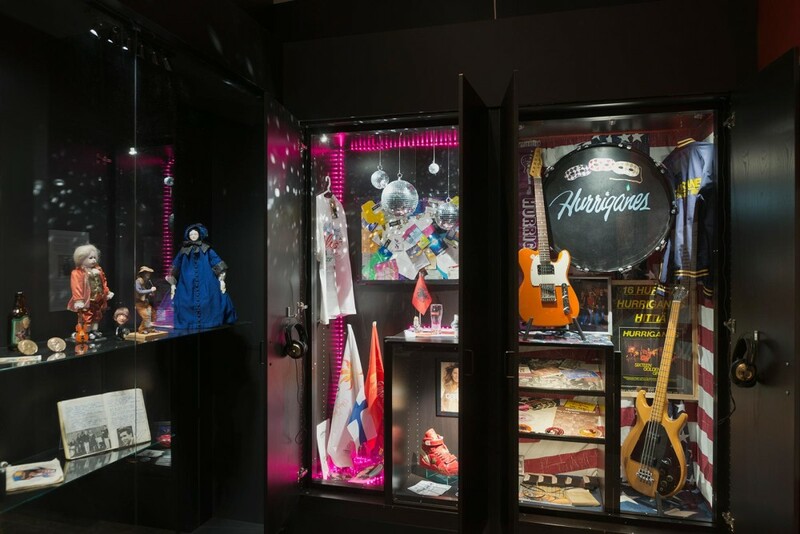 Eurovision Song Contest and Hurriganes collectors have decorated their own fan treasure cabinets. The imaginative visualisation of the Music! exhibition is a series of surprises in which each room is a world of its own. 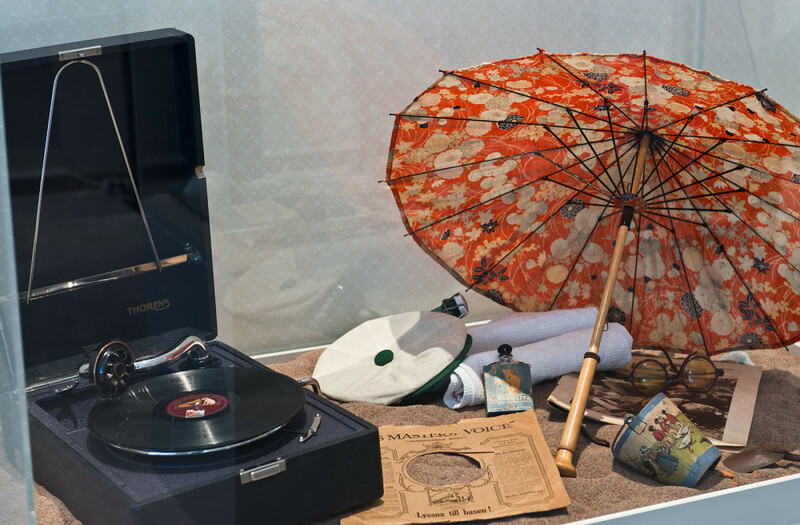 The items presented in the vitrines range from a square piano to a solid body guitar, from functionalism style radios to 70s music store plastic bags, from a Charleston dress to the graffiti-covered door of the Lepakko youth culture building. The glorious hall of the Hakasalmi Villa, once Aurora Karamzin’s salon, acts as a concert hall during the Music! exhibition. There will be a matinee concert in the hall every Sunday at 2 p.m. Also several evening concerts will be arranged in the villa. Villa Hakasalmi is part of Helsinki City Museum.